Born 15 Feb 1922; died 7 Jul 1983 at age 61. The Worlds of Herman Kahn: The Intuitive Science of Thermonuclear War, by Sharon Ghamari-Tabrizi. - book suggestion. Born 15 Feb 1884; died 24 Jan 1961 at age 76. Born 15 Feb 1873; died 7 Nov 1964 at age 91. Hans Karl August Simon von Euler-Chelpin was a German-Swedish biochemist who shared the 1929 Nobel Prize for Chemistry with Sir Arthur Harden for work on the role of enzymes in the alcoholic fermentation of sugar. In 1904 important work by Arthur Harden had shown that enzymes contain an easily removable nonprotein part, a coenzyme. In 1923 Euler-Chelpin worked out the structure of the yeast coenzyme. He showed that the molecule is made up from a nucleotide similar to that found in nucleic acid. It was named diphosphopyridine nucleotide (now known as NAD). He also worked on vitamins. His son, Ulf von Euler, was also a Nobel prizewinner. Born 15 Feb 1861; died 13 Jun 1938 at age 77. French physicist who studied ferronickel alloys and discoveredinvar (a nickel-steel alloy) which gained him the Nobel Prize for Physics in 1920. In 1883, Guillaume became an assistant at the newly established International Bureau of Weights and Measures at Sèvres, near Paris, and became director (1915-36). He was concerned with thermometry; and developing the international standards for the meter, kilogram, and liter. From 1890, he intensively investigated various alloys. After a methodical study of nickel-steel alloys he devised the alloy invar, having a very small expansion with temperature rise, and immediately adopted in springs of clocks and watches. He also produced elinvar, with an elasticity that remains nearly constant over a wide range of temperatures. 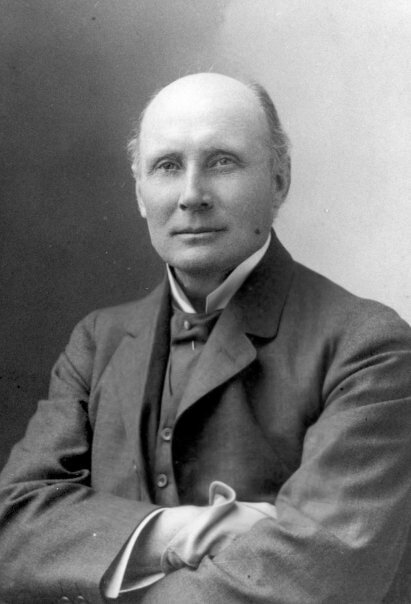 Science and the Modern World, by Alfred North Whitehead. - book suggestion. Born 15 Feb 1858; died 16 Jan 1938 at age 79. Born 15 Feb 1856; died 7 Oct 1926 at age 70. German psychiatrist, one of the most influential of his time, who developed a classification system for mental illness that influenced subsequent classifications. Kraepelin made distinctions between schizophrenia and manic-depressive psychosis that remain valid today. Kraepelin employed Wundt's experimental techniques to study the effects of drugs, alcohol, and fatigue on psychological functioning and in 1881 published a study of the influence of infectious diseases on the onset of mental illness. In his first classification of disorders (1883) Kraepelin divided mental illnesses into exogenous disorders (treatable, caused by external conditions) and endogenous disorders (untreatable, from biological causes such as organic brain damage or hereditary factors). Born 15 Feb 1845; died 7 Feb 1910 at age 64. Welsh electrical engineer who was a major figure in the development and introduction of wireless telegraphy and the telephone in Great Britain. Preece's interest in applied electricity and telegraphic engineering was developed as a graduate student under Michael Faraday. For 29 years, from 1870, he was an engineer with the Post Office telegraphic system and contributed many inventions and improvements, including a railroad signaling system that increased railway safety. An early pioneer in wireless telegraphy, he originated his own system in 1892. He encouraged Guglielmo Marconi by obtaining assistance from the Post Office for his work. Preece also introduced into Great Britain the first Bell telephones. Preece was knighted in 1899. Telegraphy, by William Henry Preece. - book suggestion. Born 15 Feb 1827; died 10 Feb 1902 at age 74. Born 15 Feb 1809; died 13 May 1884 at age 75. 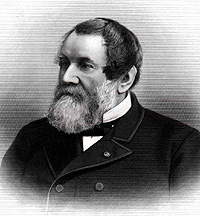 Cyrus Hall McCormick: His Life and Work, by Herbert N. Casson. - book suggestion. Born 15 Feb 1797; died 7 Feb 1871 at age 73. Steinway & Sons, by Richard K. Lieberman. - book suggestion. Italian natural philosopher who applied the new techniques of the scientific method to make significant discoveries in physics and astronomy. His great accomplishments include perfecting (though not inventing) the telescope and consequent contributions to astronomy. He studied the science of motion, inertia, the law of falling bodies, and parabolic trajectories. His formulation of the scientific method parallel the writings of Francis Bacon. His progress came at a price, when his ideas were in conflict with religious dogma. Died 15 Feb 1999 at age 72 (born 9 Dec 1926). American nuclear physicist who shared the 1990 Nobel Prize for Physics with Jerome Isaac Friedman and Richard E. Taylor for obtaining experimental evidence for the existence of the subatomic particles known as quarks. To study the internal structure of the proton, they worked with the 3-km linear accelerator recently opened at Stanford (SLAC). Electrons were accelerated to an energy of 20,000 million electronvolts and directed against a target of liquid hydrogen. In 1969 Kendall helped found the Union of Concerned Scientists. In 1997, in connection with the Kyoto Climate Summit, he helped produce a statement signed by 2,000 scientists calling for action on global warming. Died 15 Feb 1996 at age 94 (born 6 Sep 1901). The Evolution of Electrical Engineering: A Personal Perspective, by Ernst Weber. - book suggestion. Died 15 Feb 1967 at age 97 (born 8 Oct 1869). Charles E. Duryea: Automaker, by George W. May. - book suggestion. Died 15 Feb 1940 at age 94 (born 31 May 1845). Children of Light: How Electrification Changed Britain Forever, by Gavin Weightman. - book suggestion. Died 15 Feb 1923 at age 76 (born 19 Feb 1846). Died 15 Feb 1868 at age 68 (born 19 Mar 1799). The Diamond Makers, by Robert M. Hazen. - book suggestion. 2000 Fathoms Down, by Georges Houot. - book suggestion. Making Physics: A Biography of Brookhaven National Laboratory, 1946-1972, by Robert P. Crease. - book suggestion. In 1942, operation ceased at the landmark eastern terminus of the original San Francisco street cars, first in the world to be propelled by cable. It had been in use since 1 Aug 1873, having been installed by its English-American inventor, Andrew Smith Hallidie (1836-1900), a pioneer manufacturer of wire cables. In 1903, the first teddy bear was introduced in America. It was made by Morris and Rose Michtom, Russian immigrants and owners of a toy novelty store in Brooklyn, New York. In the U.S., it is said they connected teddy bear name with President Theodore Roosevelt (also nicknamed “Teddy”). While bear hunting in Mississippi in 1902, Roosevelt decided to spare the life of a bear cub which had been orphaned during the hunt. The event was the subject of a cartoon in the Washington Post seen by the Michtoms. Inspired by the cartoon, Mrs Michtom made a toy bear and upon being displayed as “Teddy's Bear” in the shop window, the bear proved enormously popular with the public. In 1897, Ferdinand Braun published a paper in the journal Annalen der Physik und Chemie describing his “Braun tube”, which was the first cathode-ray oscilloscope. He developed this as a method to record and study the time dependance of alternating currents. Cathode-ray tubes had previously been characterized by uncontrolled rays; Braun produced a narrow stream of electrons, guided by means of alternating voltage, that could be traced on a fluorescent screen. A coil wrapped around the Braun tube produced a vertical deflection of the electron beam. Horizontal deflection of the image to create a “time” axis was achieved by means of a small rapidly rotating mirror placed in front of the CRT. In 1758, mustard was first advertised for sale in America, by Benjamin Jackson who had set up business in Globe Mills, Germantown, Philadelphia, selling mustard packed in glass bottles with his label on them. In the Philadelphia Chronicle, Penn., he claimed to be "the original establisher of the mustard manufactory in American, and ... at present, the only manufacturer on the continent," and that he had brought the art with him from London to America. In his further advertisements he said he "Prepares the genuine Flour of Mustard-seed, of all Degrees of Fineness, in a Manner that renders it preferable to the European, ...and it will keep perfectly good any reasonable Time, even in the hottest Climates, and is not bitter when fresh made."